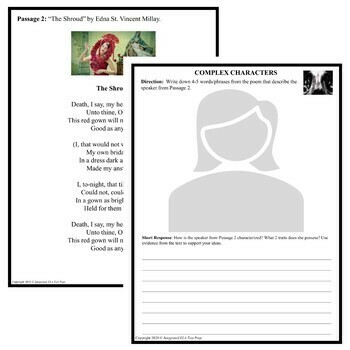 This Common Core ELA Reading Test Prep Lesson (COMPLEX CHARACTERS / CHARACTERIZATION for Paired Passages) helps students prepare for Common Core-based state reading comprehension exams and assessments. 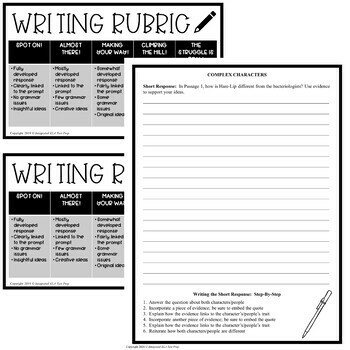 It contains a Lesson with Activities and Test Questions/Answers based on the Common Core Standards (CCSS). 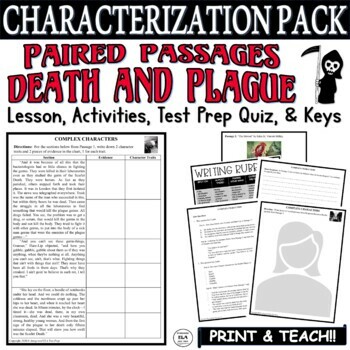 It includes a fictional passage from Jack London's The Scarlet Plague (PUBLIC DOMAIN) and Edna St. Vincent Millay's poem "The Shroud" (PUBLIC DOMAIN), as well as a Detailed Lesson, which would be great for a whole group lesson, small group instruction, pull-outs, push-ins, or substitute (sub) plans. 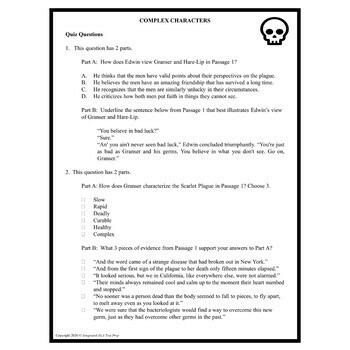 The lesson could be used for 6th-12th graders with or without teacher guidance, depending on the amount of differentiation needed for each student and takes about 90-120 minutes, depending on the goal for the lesson and choice of activities. Give yourself a breath of fresh air with this NO PREP lesson. CHECK OUT MY PACKS AND BUNDLES FOR A GREAT DISCOUNT!